Happy Friday everyone. Another week has come and gone. Today my hair is still straight from my washday Monday. Check it out HERE. Normally, I only wash every 2 weeks when straight, but I might just wash it this weekend and upload a curly hair wash day Monday. Laughs! I'm not entirely sure but I miss my curls and straight hair is getting boring. However, it is easier to manage every day. As you can tell, I don't know what I want to do. 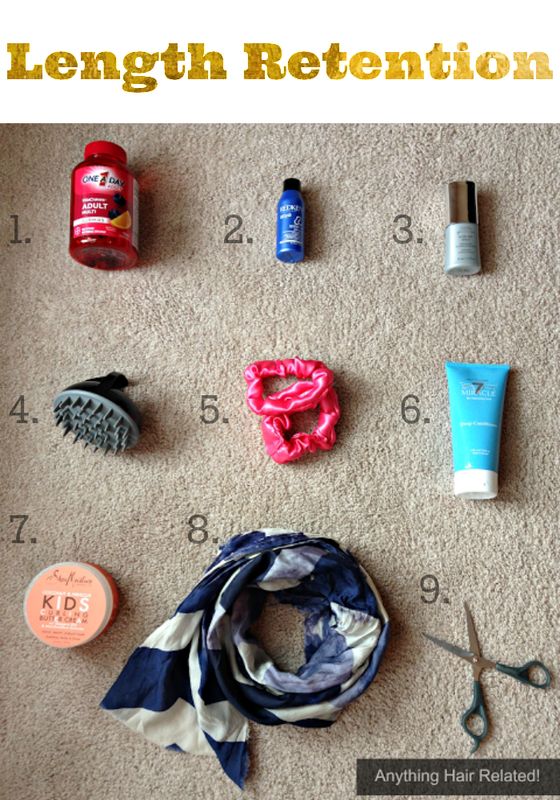 Today I have a simple post on the basics of hair care. Most of us reading are already on a journey and know the basics, some of us need a reminder, and the rest of us are clueless. Here is a list of nine things that you can do today to promote length retention whether you're relaxed or natural. Protecting our ends is important as well. It is the oldest and dryest part of the hair. One way to protect our ends after moisturizing is by sealing with an oil or serum. This helps lock moisture in our hair and give our ends a helping hand at staying attached too. Not to mention, protecting our ends help them stay strong by preventing split ends and withstanding heat. Photo example: Redken Extreme Anti-Snap from Ulta. Scalp stimulation is also one of the key things our hair needs to thrive. Scalp massages help stimulate hair follicles and promote growth. Typically I massage my scalp every wash day with either my tangle teezer from Sally's or this scalp invigorator (pictured) to massage for about a minute. Sometimes I even use both. Not only is it therapeutic, but it helps promote hair growth. Photo example: Scalp Invigorator from Vanity Planet. Another hair friendly tip is to tie hair back with an elastic that has no metal parts or is damaged in any kind of way. You know those wonky elastics that are broke in so much to the point that it looks like that elastic is playing skip to my loo. Yes those...toss them. They are causing more damage and taking pieces of our precious strands with them. A nice satin hair tie in black or maybe ditching the elastics all together and opting for a pinned look would be a better option. Not to mention that too tight elastics can cause unnecessary tension on our edges and make them disappear. It happened to me. Check out my recovery post HERE. Photo example: Handmade Satin Scrunchie made by me. Aside from keeping our scalp clean, deep conditioning is one of the best things we can do for our hair. This weekly treatment restores moisture, revitalizes curls, improves elasticity and manageability, promotes shine, decreases frizz, natural heat protectant, and the list goes on. The most important tip to remember with deep conditioning is that consistency is key. The more regularly you do it, the more results you will see. 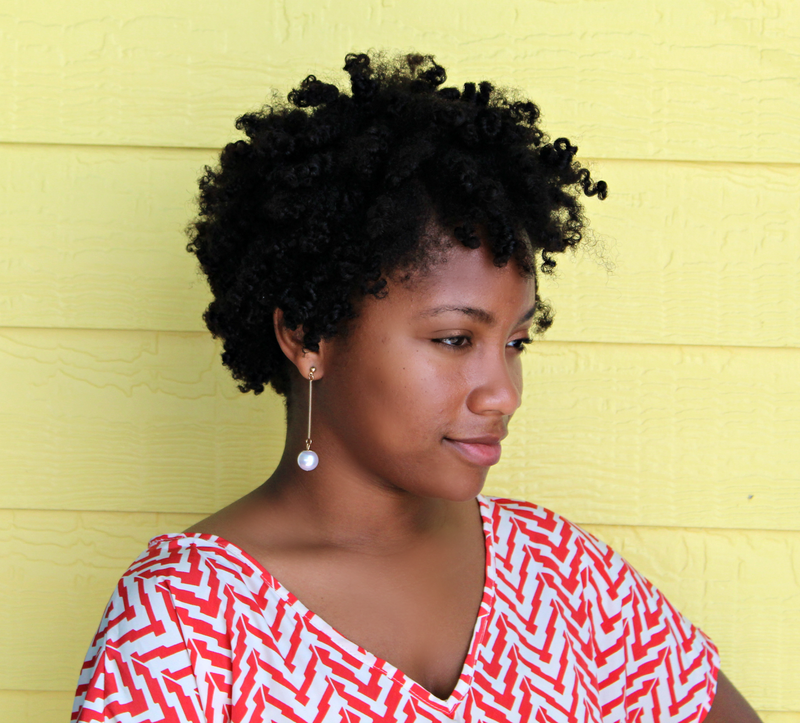 Photo example: Miracle 7 Deep Conditioner from Sally's. Deep conditioners little cousin the moisturizer should be our best friend. Its does the job when deep conditioning is one week away. Moisturizing replaces any lost moisture that our strands are missing and preserves our hair. It can also an end protector as well. Moisture simply means WATER and that's what needs to being infused due to climate, elements, and environment. Check out my post that discusses the importance of moisture HERE. Photo example: Shea Moisture Kids Curling Buttercream from Walmart/Walgreens. Next up is the sleep aid. Silk/Satin bonnets, pillowcases, and scarves all protect our hair while we sleep at night. As we sleep, we toss and turn and those cotton sheets absorb the moisture from our hair. Ever wake up and see that jerry curl looking pillow case? Well, that happens because cotton is super absorbent. Not to mention, our hair can snag on cotton. Ever wear your hair down and it constantly snags on your cotton t-shirt? Yes, that is the power of cotton. But, fear not because you have no worries if you protect your hair at night. Loosely wrapped satin/silk if possible or else you'll cause another problem...missing edges. Robbing our precious edges of moisture and circulation can cause balding. Photo example: Silk Scarf from TJMaxx. Last but certainly not least is Mr. Trim. When all else fails and the war against peace and split ends are at a breaking point, consider dusting or trimming your hair. Typically, an inch will suffice. However, in some cases, more is needed. Consider visiting a hair professional that you trust if you feel uncomfortable doing it yourself. Ends expose more ends so it is important to apply all the tips discussed here to help preserve them. Damaged ends that go uncut will never be repaired only temporarily mended. Photo example: Hair Shears from Walmart.